I’ll never give up ! Photo wallpaper - I’ll never give up ! I’ll never give up! The most important thing is to fight for one’s dreams. Everyone will be world-famous for 15 minutes – it’s important to seize the moment. 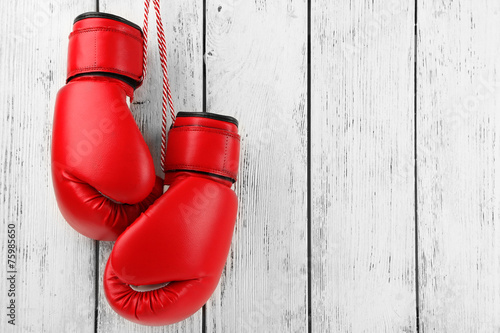 The photo wallpaper depicting the boxing gloves is an interesting and intriguing solution to any sport enthusiast’s room. Take your world to a new level of design.